You've probably heard of classic car tricks like placing an open tuna can under the driver's seat or making a mess of a car's interior. While these pranks will get a reaction, the response may not be what you have in mind. 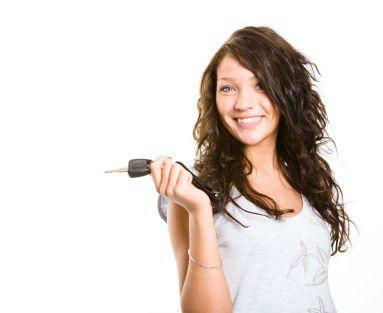 If you want to keep your friends, stick with car tricks that won't damage the vehicle or present a safety hazard. You're a Fan of What? 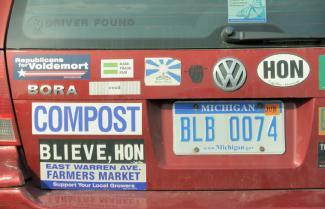 Many car owners use bumper stickers and window decals to tell the world about their interests. From political statements to favorite brands, there are stickers to suit everyone's taste. Fortunately for car pranksters, the opposite is also true. You can get a good laugh out of putting window decals on your friend's car. To perform this prank, you'll need to know a bit about the victim's favorite sports teams, political affiliations, or personal causes. Does she hate NASCAR? Plaster her rear window with NASCAR stickers. Is he a die-hard Republican? Cover his bumper with campaign stickers for Democratic candidates. Simply pick stickers that represent the opposite of your friend's values, and then apply those stickers to the car. Choose stickers that are easy to remove. Generally, it's easier to get stickers off the back window than the bumper. Even better, look for printed magnets to use instead. Don't pick decals or stickers that will be truly offensive to groups of people. In addition to the potential ethical issues this raises, it could get your friend's car vandalized. Similarly, stay away from issues that will be really offensive to your friend. While it's amusing to make fun of her sports team or political candidate, it's not as funny when you're joking about her religious beliefs or other major values. Although it's a very useful tool in the kitchen, plastic wrap can also be a source of great frustration and amusement when it's used on a car. If you want to drive your friend crazy without hurting her vehicle, cover her car with clear plastic wrap. To cover the entire car, you'll need a few standard-sized boxes of kitchen plastic wrap. If you live near a restaurant supply store, you can pick up an industrial-sized box of the wrap to make your job a little easier. Since this prank can be somewhat time consuming, choose a time when your friend is at work, in class or asleep. Head out to her car, and wrap the entire exterior in plastic. Make sure you're nearby when she sees the vehicle, so you can appreciate her reaction. The sticky note isn't just a great organizational tool for the office. You can also use Post-Its to play a harmless prank on your friend. To do this trick, you'll need several packages of sticky notes. You'll also need a little free time and access to your friend's vehicle. When your friend is otherwise occupied, take the sticky notes out to his car. Begin sticking them to every surface. If you're feeling really creative, you might want to write a message on a few or all of the notes. Cover the entire dashboard and front seat area with the notes, and then move on to the back seat. 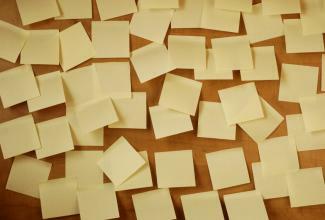 When you're done, every surface will be classic sticky-note yellow. If you have a spare set of keys for your friend's car or can swipe his keys without his knowledge, you can play this fun and easy prank. When your friend is busy with something or is asleep, move his car to the opposite side of the parking lot or street. Make sure the vehicle is still within view, just not where your friend left it. When he comes out to get in his car, he'll be momentarily confused. It's best to be nearby when your friend is looking for his car. That way, he won't completely panic and call to report a stolen vehicle. Make sure you let him in on the joke if it stops being fun for everyone involved. Most drivers are pretty alert to strange sounds within the vehicle. You can have your friend wondering what's wrong with the car if you hide a few noise-making devices throughout the interior. To make a simple noisemaker, save some tin cans. You'll also need a roll of duct tape and some small metal objects to put in the cans. Make sure the cans are clean so they don't cause your friend's car to smell bad. 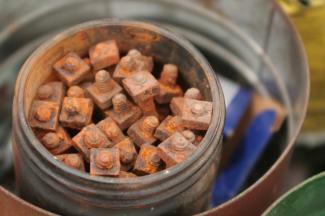 Put a few bolts, screws, ball bearings, or other metal objects in each can. Tape the top of each can shut. Wedge the cans under the car seats and place them in the glove compartment and center console. When your friend steps on the brakes or goes over a bump, everything will rattle. You've probably seen tin cans tied to car bumpers for weddings. The bride and groom are usually aware of the cans, and they are just another part of the wedding festivities. However, you can use a variation of this tradition to surprise your friend anytime. Avoid this prank if your friend travels on busy highways, since the cans could be a hazard in this type of situation. Gather up some cans and other light but noisy objects. You'll also need some fishing line and a little spare time. Tie a long piece of fishing line to each can or object. Tie the other end of the fishing line to the bumper of the car. Tuck the cans under the car, so your friend will not notice them when she comes out to her vehicle. When she drives off, she'll hear an alarming rattling noise. If you've walked through the toy section of a department store, you've probably noticed the automated baby dolls that move their heads back and forth and cry out, "Mama!" You can use a few of these dolls to give your friend a bit of a scare. For this prank, you'll need a few automated dolls. The number you choose will depend on your budget, but the more you have, the better the effect will be. When your friend is away from her car, place several of the dolls around the interior. Hide at least one in the trunk, and position three or four so they are facing the driver's seat. 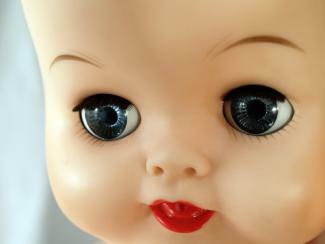 Be sure the doll's motion sensors are activated. When your friend comes out to her car, the dolls will all move and call out to her. When you get in your car in the morning, you expect the seat to be in the same position and the mirrors to be set the way you left them. You can shake things up a bit by changing all of your friend's vehicle settings. It's best to be there when your friend discovers your changes. In addition to giving you a chance to enjoy the prank, this will let you correct any potential safety issues before your friend starts driving. Make sure the seat is back in the right place before your friend backs out of the driveway. It's also a good idea to avoid messing with the angles of the mirrors, since your friend may not notice these changes until she's on the road. If you know your friend will be parking in a garage, try this fun prank. Avoid performing this trick if your friend parks outside, since it will contribute to litter. Rent a helium tank and purchase a large pack of balloons. Alternatively, you can order dozens of helium-filled balloons. Use the helium tank to inflate the balloons. Fill the trunk with the balloons, packing every available inch of space. When your friend opens his trunk, the balloons will fly out. Never mess around with a car's exhaust pipe. The exhaust system is sensitive, and plugging the exhaust pipe can lead to equipment problems or dangerous gas exposure. Don't put anything but gas in the car's fuel tank. Foreign substances will damage the vehicle. When pulling pranks on the outside of a vehicle, be careful what you put on the paint. Sticky substances and acids can damage a car's paint job. If you do anything with the car's interior, be sure it won't cause permanent damage or stains. While a lot of car pranks involve destruction of the vehicle or potentially dangerous situations, you can easily perform a few tricks that won't hurt vehicles or people. Before choosing any prank, simply ask yourself whether there is any potential for harm. If not, go ahead with the plan. You might even want to record your friend's reaction on video!